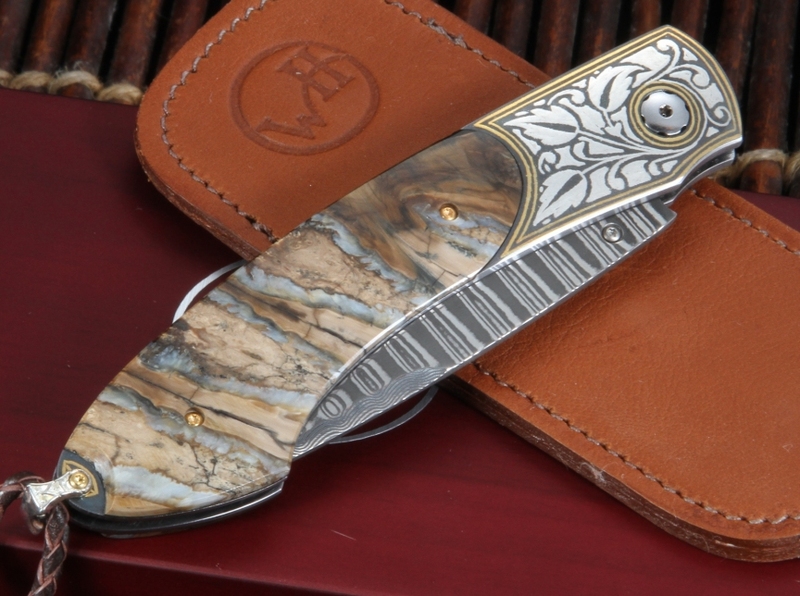 The William Henry B12 Silver Falls mammoth tooth and gold inlay folding knife is rare, useful and stunning. With a 3-inch blade and a total length of 6.81 inches, this 2.8-ounce knife is light and easy to carry. 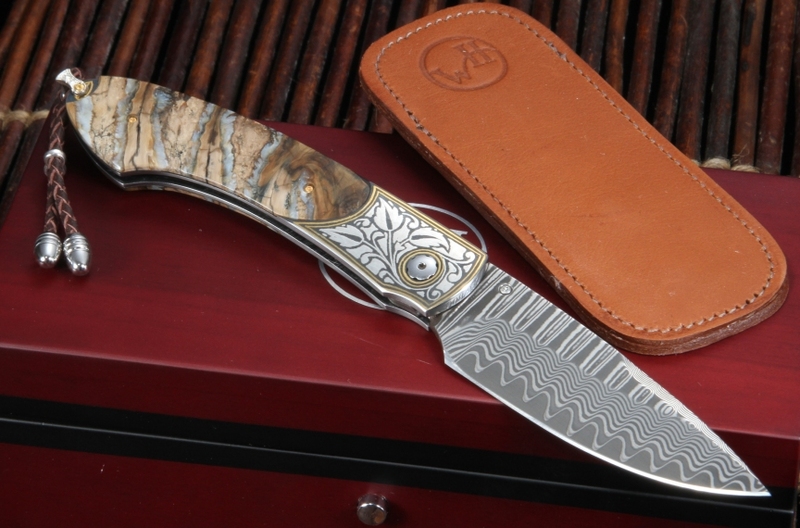 One of only 250 individually numbered knives, the William Henry B12 Silver Falls comes with a certificate of authenticity in an upscale wood presentation box. The special-edition William Henry B12 Silver Falls folding knife features fossilized mammoth tooth handles and a wave-patterned Damascus steel blade. 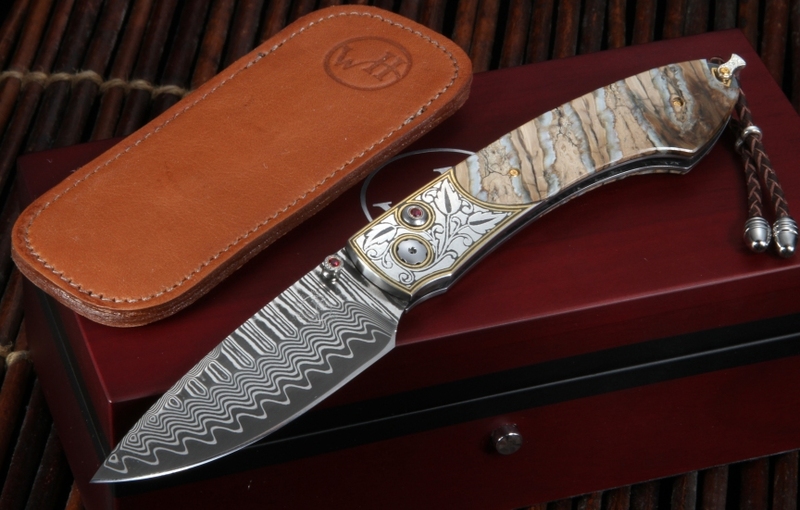 The thumb stud and button release are inlaid with blazing red topaz gems, making this one of the most strikingly beautiful knives you’ll ever hold. With a solid button-lock design and integral frame, this knife is as safe and useful as it is attractive. It comes with a brown leather William Henry clip pocket case. 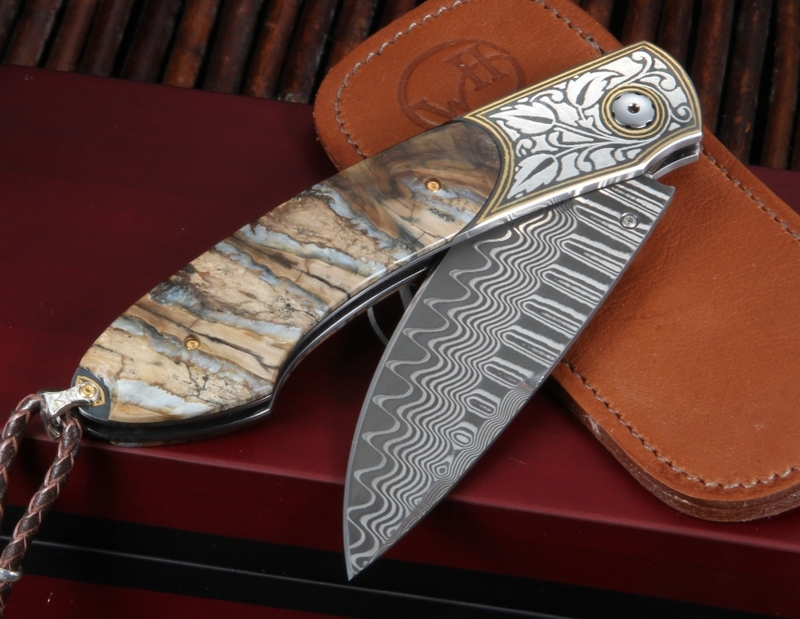 BLADE MATERIAL: Stainless Wave Pattern Damascus with a cutting core of ZDP-189 steel.